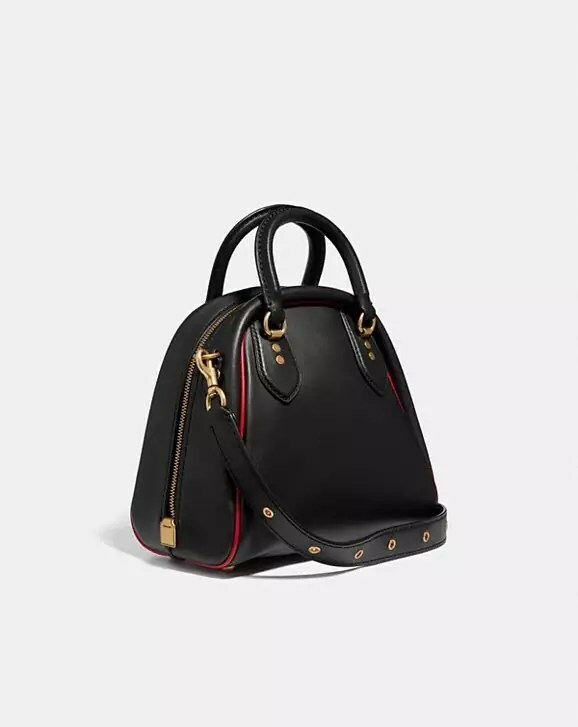 Known primarily for their luxury handbags, it’s extremely fitting, albeit unsurprising, that Coach 1941 unveiled a brand new bag at New York Fashion Week 2019 for their Fall Ready To Wear collection. This new season bag is Marleigh. According to Coach, vintage bowling styles of the 1950s inspire the design of this soon to be fall staple. 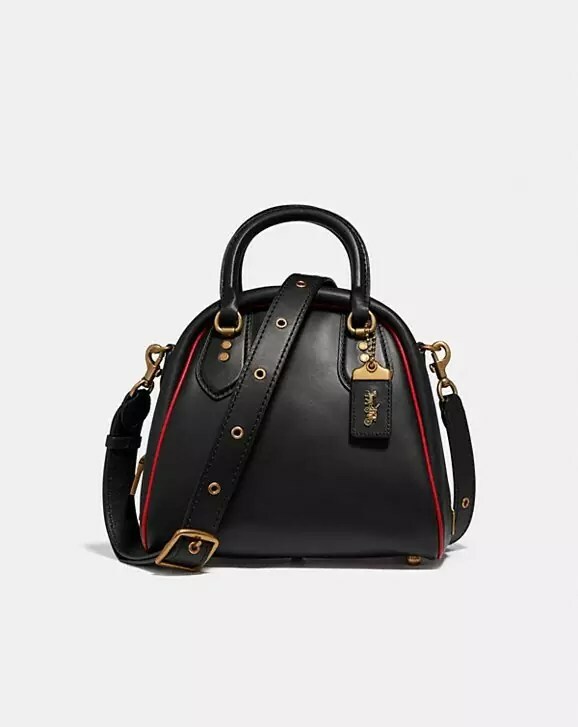 The Marleigh bag ($495) is already available for purchase from Coach. Check out the satchel in action. The runway introduced the Marleigh bag in all of its color scheme variations and old-timey glory. This is the same Marleigh bag from above in Black/Brass. The edginess of this look compliments the striking, leather-like appearance of the purse. 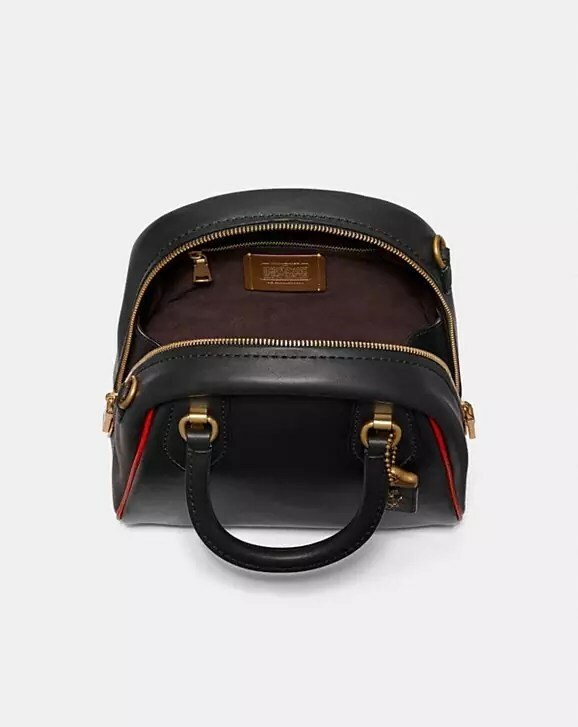 The red trimming around the perimeter is what makes the Marleigh stand out from a typical black satchel. The Marleigh bag suits (no pun intended) the strong, business-like nature of this outfit very well. This bag is in a chalky white/maroon combination. Like black, swarthy tones can add depth to any outfit and not look too stark. Unfortunately, the rest of these beauties are not currently in stock at Coach. Hopefully, this will change shortly and swiftly so that we can get our hands on that olive-toned Marleigh satchel in the last photo. We can’t wait to see what Coach reveals next year during Fashion Week. 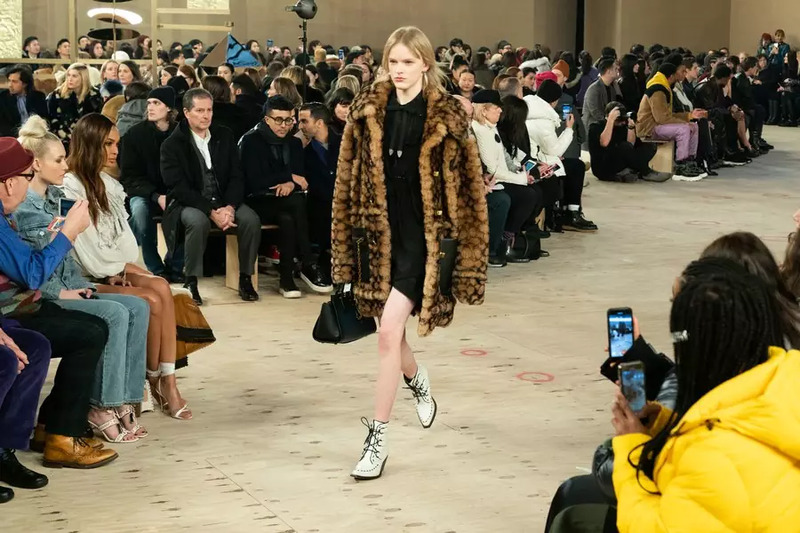 If you’ve enjoyed this review, see our latest 2019 Couture Week Chanel and our 2019 Spring summer Ralph Lauren review. You can find the rest of our Fashion Week posts here.